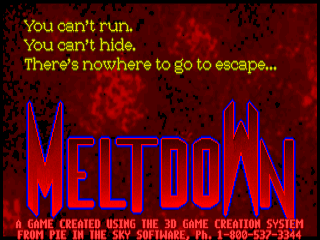 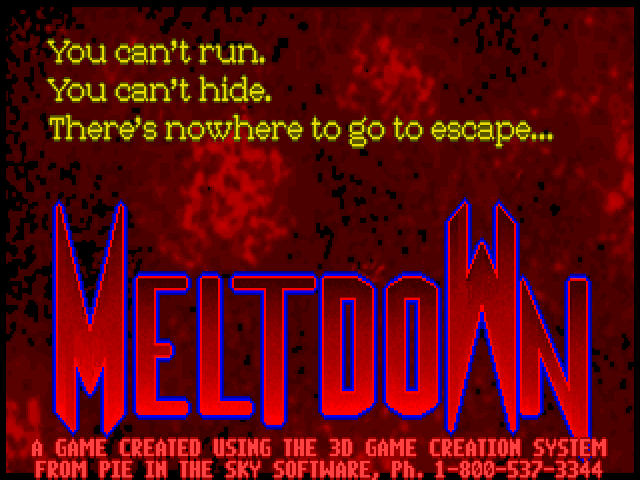 Meltdown is a short demo of Pie in the Sky Software's 3D Game Creation System (3D GCS). 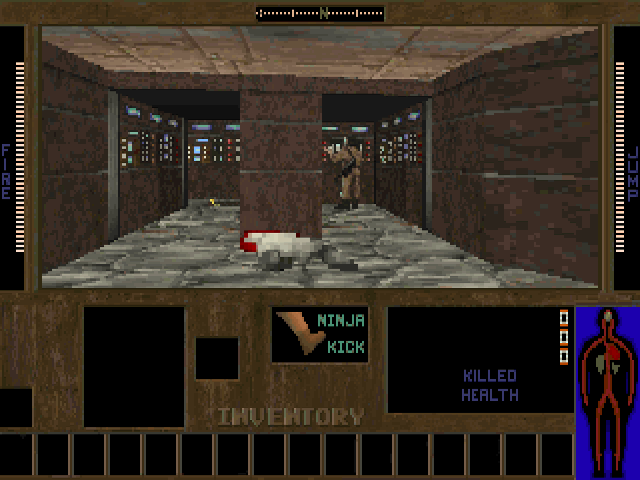 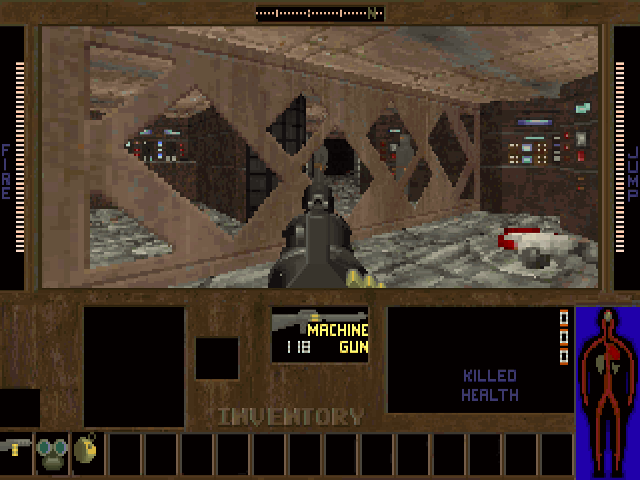 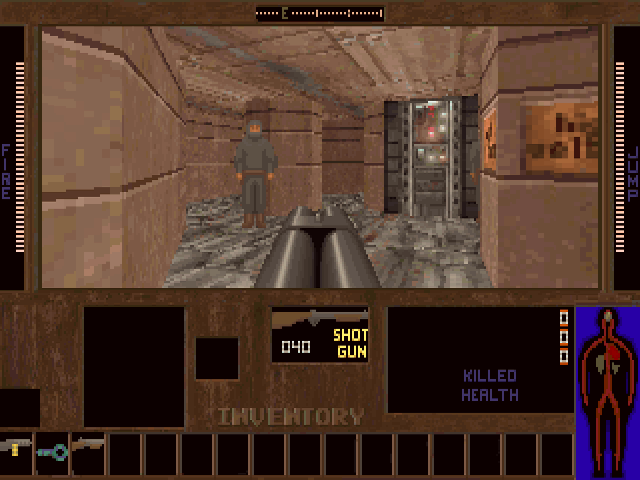 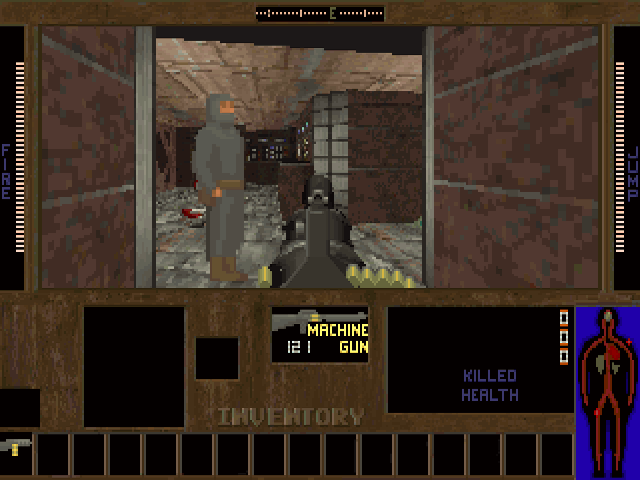 It contains only one level, but is notable for having been created by Terry Hamel who later participated in the development of Monolith Productions' Blood. 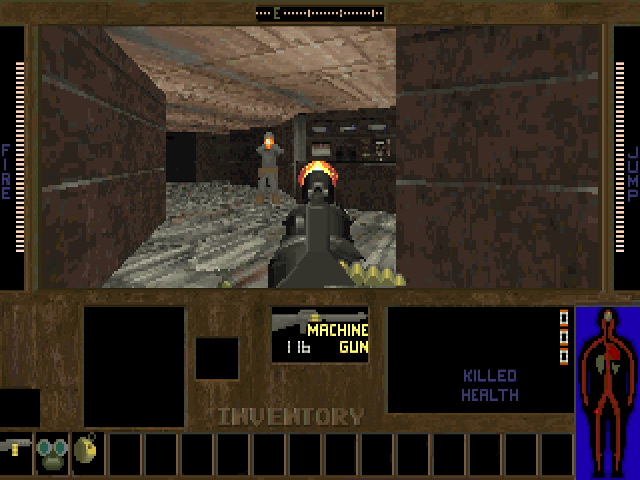 Pie in the Sky Software later released a more sophisticated demo game called Industrial Killers.